We celebrate the joy of less and the freedom inherent in living life hands-free. Our belt bags, designed to fit just the essentials, are a reminder of the ease of living a life of simplicity--a life filled with more experience, happiness, wholeness and joy in exchange for less stuff. As a modern company, we believe it is our responsibility to take into consideration the welfare of our planet in the development of each of our products. We are committed to sustainability and source only the most innovative, animal and earth-friendly materials we can find. Our belt bags are made at a small, family-run factory just a few miles from our office in Los Angeles. We know every person that cuts and sews our bags and feel good that we can help provide them with a fair, living wage in a safe, happy and healthy workplace. 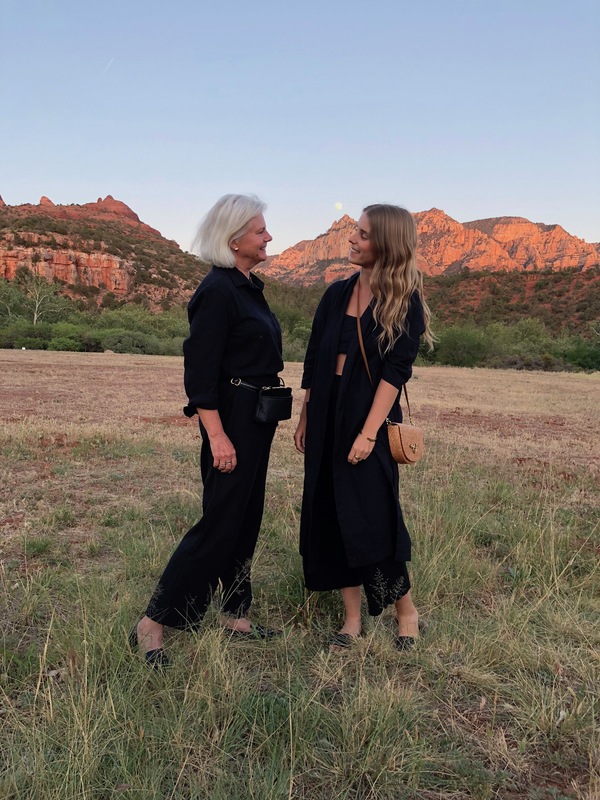 HFS Collective was founded in 2012 by mother-daughter team Debra and Rachel Denniston in Los Angeles, California. Since the beginning, they’ve sought out to create ethical and sustainable, hands-free bags inspired to liberate women from their baggage.